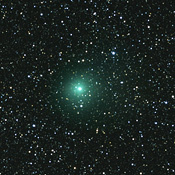 In the sky there is a quite bright comet C/2006 W3 Christensen. 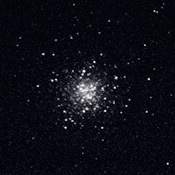 I saw some photos of this comet and due to coming bad weather I decided to go and take a picture of this comet. If had known how many problem would be waiting for me probably I would not have decided to go. I have spent three days in beautiful mountains Mala Fatra with my son. Each day was full of hiking. We spent nights at chalets. As during the day as during the night the sky was absolutely clear. Milky Way was excellent. People should not use too much light in their town but stare at stars. Could, rain, sun. The weather was very crazy today. 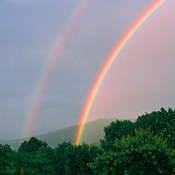 Primary, secondary and multiple supernumerary bows - this is result. 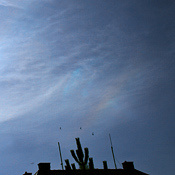 Today there was an unordinary sun halo in the sky. 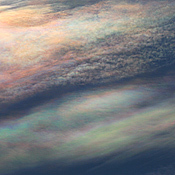 The sky had perfect clouds for this sort of phenomena. 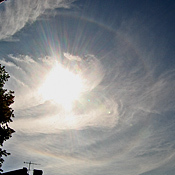 First I saw only circumscribed halo but later I noticed a small part of another one - the bigger brother arc. 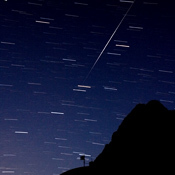 Middle of the year is coming and constellation Cygnus is getting higher and higher. 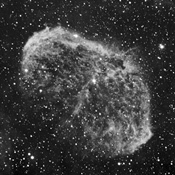 There is several interesting nebulas in this constellation and Crescent nebula belongs among them. 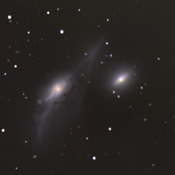 Two galaxies looking at you - it is part of good-know Markarian's chain. This part is called The eyes or Markarian's eyes. 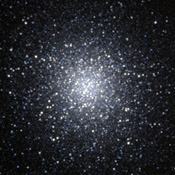 Globular cluster M13 in constellation Hercules is also called Great Globular Cluster. And this is right description, for it is amazing. 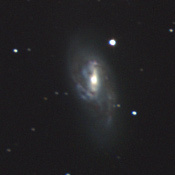 I managed to take a picture of it by silicon eye of CCD camera STL 11000M wth 60cm Newton. This is the first light through astrographic telescope (made by Mr. Drbohlav) with diameter 220mm. Leo Triplet was chosen for testing. This is the result. 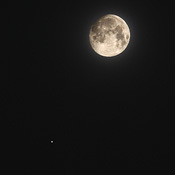 The Charm of Universe - it is name of the exhibition of astronomical photographs. This exhibition is installed in Czech republic in the town of Valasske Mezirici in these days.